SARI GREAVES, RDN, is an expert nutrition consultant and former national spokesperson for the Academy of Nutrition & Dietetics. She is a leading nutrition expert in women’s health, weight management, and wellness and disease prevention. 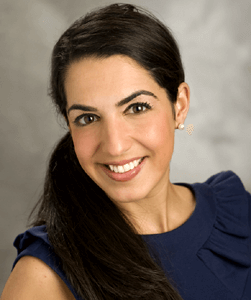 As the Nutrition Director at Step Ahead Wellness Center in Far Hills, New Jersey, Sari provides personalized nutrition counseling to men and women seeking weight loss and healthy lifestyle modification. Her nutrition and cooking video series have appeared on Foxnews.com, Doctoroz.com, and Healthguru.com, and she has written extensively on consumer nutrition topics. She currently lives in Manhattan. She is the co-author to The Cardiac Recovery Cookbook and the upcoming Obesity Prevention in Children as well as Cooking Well Healthy Kids: Easy Meals for Happy Toddlers.